A perfect black eye liner is a timeless makeup product to enhance the beauty of eyes and create great everyday look. For the same purpose, I tried Colossal Eyeliner from Nelf Cosmetics and here is a quick review on it. Colossal Eyeliner makes your dream eye look easy and speedy. This skinny pencil just twists up to reveal a perfect point that makes applying color a breeze. At the other end is a pro-style sharpener to maintain the perfect tip for your eye liner. Create Precise fine lines and can also be used as a kajal. 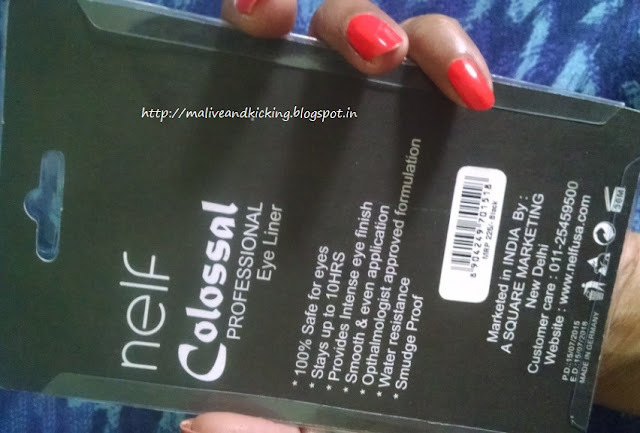 The Nelf Cosmetics eyeliners are available in four shades: Black, Brown, Blue, Green. 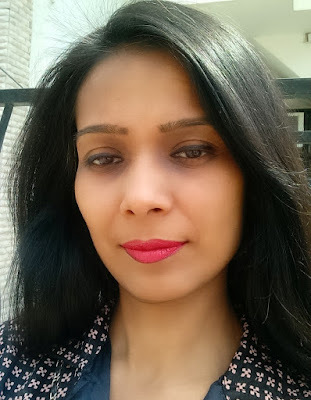 I chose to try the classic beauty in black, because I frankly can't dare n experiment with colorful eyeliners as yet. The eyeliner comes in exactly same packaging as their Lip Liners. 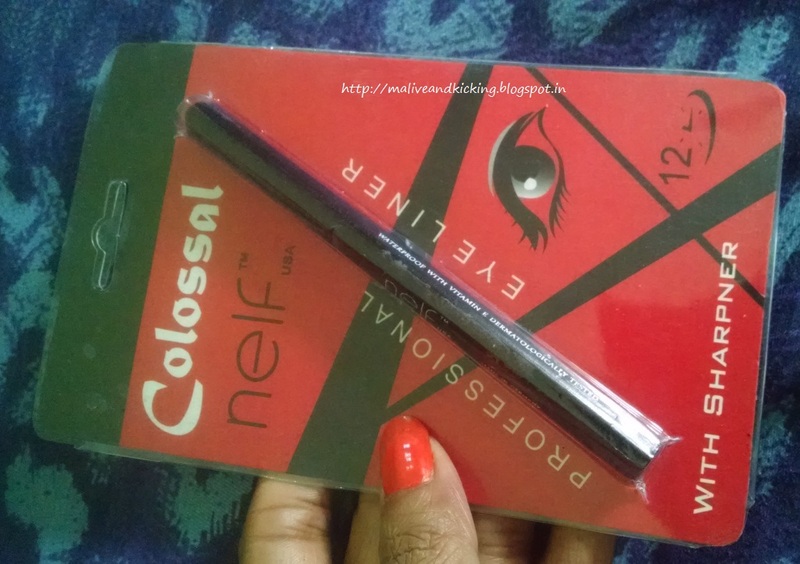 The eyeliner is a twist-to-open pen encased in a cardboard and transparent sheet packaging. The nicely pigmented liner pencil hardly requires you to layer the lines to achieve the desired color, but you may control the darkness by layering if you wish. Its application is smooth like a dream and the intensity of color comes out very well. I like thicker lines, so found the tip very efficient in this regard. The texture is very rich n creamy. I feel that for the lovers of winged liners, it may not be that apt because an accidental touch to your eye may cause it to smear slightly. The liner causes no irritation for my sensitive eyes. The staying power is moderate and may need reapplication after 3-4 hours. The quality of being water-proof was one of last thing on my mind while assessing its efficiency, where the product doesn't perform upto my expectations. I liked that its not shimmery formula and is one easy-to-apply product for traditional look. 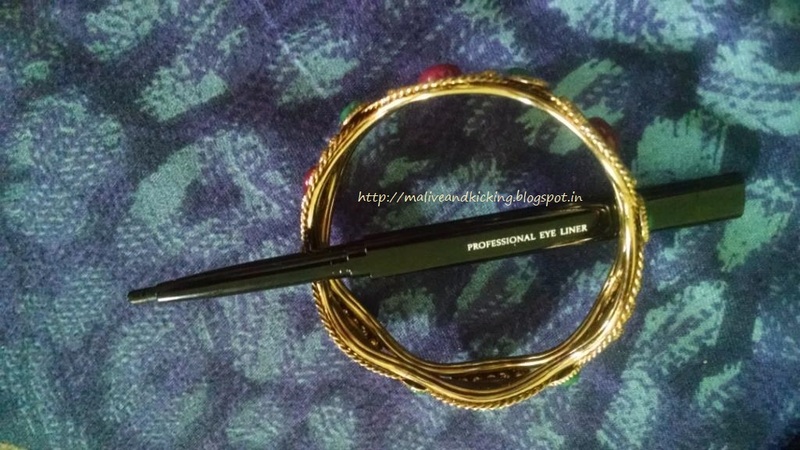 For a price tag of Rs 225, I wish the eye liner should be more long lasting and improvised on its water resistance capability. I'm yet to try the eyeliner on my lower lash line. 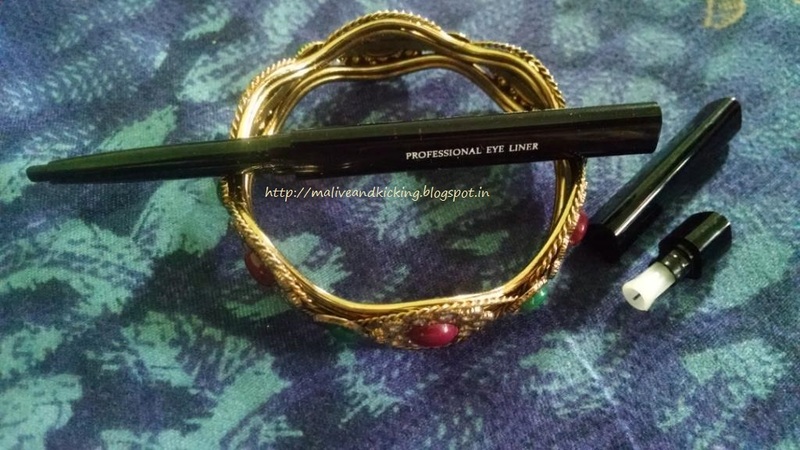 My recommendation is to create smoky look with this eyeliner since it blends very well. I am really interested to know how will they perform on your water line/lower lashline. Looks like an okay type product Well reviewed!